SKU: PCHRED. Category: Vini Rossi. Picchio Rosso is born from our cru vines of Sangiovese, Merlot, and Cabernet Sauvignon. The grapes are hand-picked; the Merlot is harvested at the end of August, and the Sangiovese and Cabernet are harvested at the end of September or the beginning of October. The grapes are first macerated in stainless steel tanks at a controlled temperature for 15 days, then aged in new, one-year, and two-year old oak barrels for 12-14 months. The wine is then bottled and held for another 12 months before being released. We produce about 4000 bottles of this wine annually. 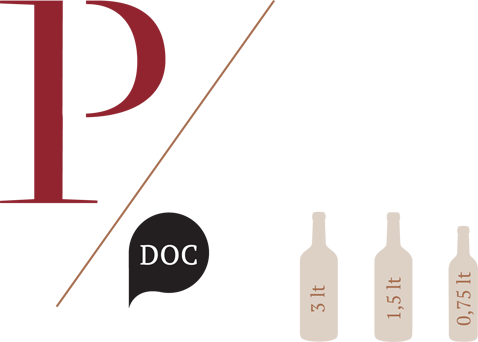 Characteristics: Picchio is a very complex, well-structured wine that will only improve with further aging. It is a deep, intense purplish-red, and with a bouquet of spice and fruit notes, notably black pepper and vanilla. The alcohol is well-balanced alongside the strong, seasoned, persistent tannins. Pairs Well With: This wine is excellent with red meat, game, roasted meats, and aged cheeses.